If you normally see this in shelves of convenience stores, gas stations and groceries in the US, South American or European countries, then you're lucky. We don't have this in the Philippines yet so when their launch happened a few days ago, I knew it was going to be big. 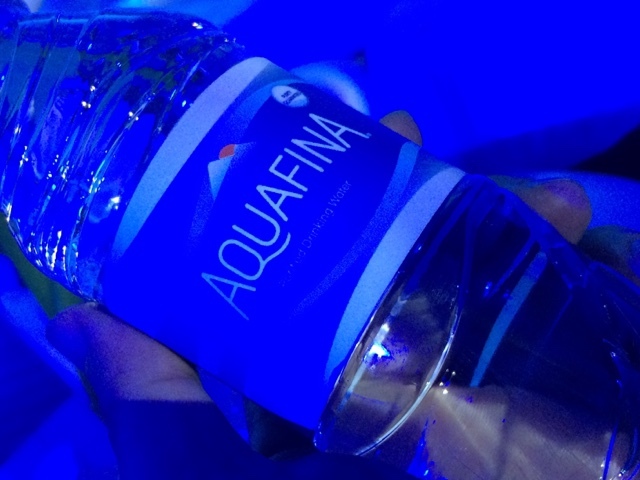 Yes ladies and gentlemen, AQUAFINA, the world's best selling water brand is now in the Philippines. Ms. Melai Javier of PepsiCo says "We know you want quality and credibility even with bottled water. Now it's time Filipinos experience pure water from Aquafina. Each person is best at what they do, Aquafina prides itself to be the best selling water brand in the world and in a way, we want to inspire you to become your best self! We also know we need to be represented by not just the best in the world, but by the universe so we got Ms. Pia Wurtzbach as our endorser." Pia knows how to stand out, to persevere and become the universe's best. She also had us in small interviews, I think I did absolutely awesome in the video they showed that evening. I cringed but when they applauded it felt like a certain boost to my ego, I wasn't even thinking about what I was saying that time but it felt good. Haha! Now you can get these bottles in supermarkets nationwide. Get them for Php10-Php24 SRP. Go to Facebook.com/aquafinaph for more information.